The days of consoles vying for technical supremacy are done, says THQ CEO Brian Farrell. Farrell thinks that a new Xbox or PlayStation is the last thing the videogame industry needs. He'd rather see developers working to make games richer, rather than chasing more photo-realistic graphics or more impressive explosions. Farrell applauded Microsoft and Sony's attempts to attract an audience beyond that of core gamers with Move and Kinect, saying that it was the right move strategically and that he "loved the concept." He said that the model of subsidized hardware and rising development costs wasn't going to work anymore, and that he couldn't see where the value was for consumers in another generation of consoles. "Better graphics?" he said. "They're pretty darn good now. Better sound? No. Gameplay? Probably not ... I think those days are over." Rather than improving the technology, he thought that the games themselves would evolve, and start featuring deeper stories, better characters and higher production values. Farrell might just get his way too, at least for a while, as neither Sony nor Microsoft seems to be in any rush to start the cycle up again. 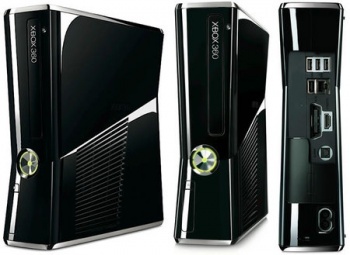 Sony has often stated that it made the PS3 with a ten-year life span in mind, and Microsoft thinks that the 360 has a good few more years in it, too. It seems unlikely that we'll have to wait another five years before a new PlayStation or Xbox comes out, but another two or three seems very feasible.